From beer, beet or kefir: choose your recipe. 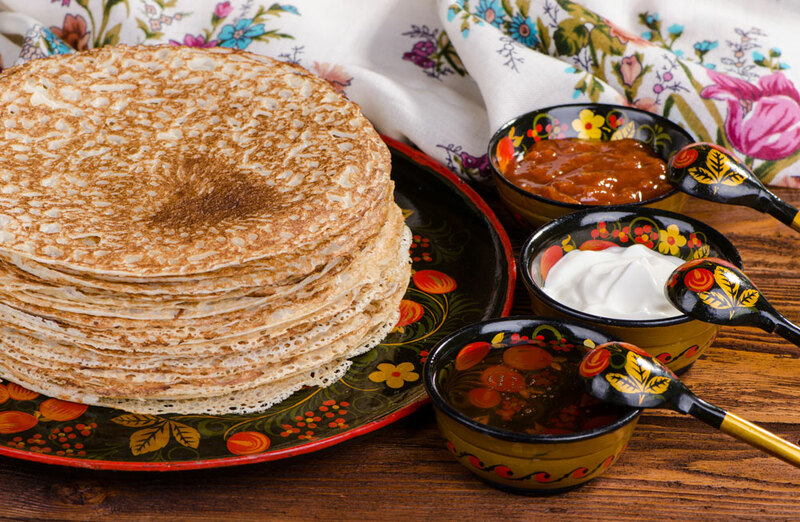 The recipes for a few unusual pancakes, made with ingredients like beer and beets, are outlined to bring some Russian Maslenitsa festivity to your kitchen. ‘Maslenitsa’ is an ancient Russian pagan tradition that was adapted by the church. The week-long festival, which celebrates the arrival of the sun and the end of winter, now also marks the week before the beginning of Great Lent; the 40 day period of self-denial and reflection which lasts until Easter. People commemorate the seven days of the ‘Maslenitsa’ festival by eating pancakes (the round shape of which is meant to represent the sun), participating in community games and activities and by drinking a lot. On the last day of the festival, Sunday, people seek forgiveness from each other and burn a large straw doll, also called ‘Maslenitsa’. This year Maslenitsa is being celebrated in Russia from March 7 to March 13. RIR offers three unusual pancake recipes for you to make the most of the festival of ‘Maslenitsa’. This is a good way to use up all your extra beer before starting the Lenten fast, even though some traditions hold that beer is ok to drink, even if you are fasting. 1. Mix the milk, slightly warmed, together with the beer. Keep stirring and add flour. 2. Carefully mix the batter, adding the eggs, vegetable oil or melted butter, sugar or white honey, salt, and, just before you finish mixing, baking soda. The thinner the batter, the thinner the pancakes will be — experiment and find out how you like them. 3. The pancakes must be cooked in a cast-iron frying pan: do NOT wash it; instead, warm it and wipe it with a napkin before using it.2. Carefully mix the batter, adding the eggs, vegetable oil or melted butter, sugar or white honey, salt, and, just before you finish mixing, baking soda. The thinner the batter, the thinner the pancakes will be — experiment and find out how you like them. 4. Traditionally, the frying pan is greased with half of a raw potato on the end of a fork. Cook the pancakes in a very small quantity of melted butter. 5. Put the finished product — they should be a beautiful dark red in color — into piles and pour melted butter over them. They can also be eaten with fillings. Need something else to do with beets besides make borscht? Try this! 6. Mix this all and wait 30 minutes. 8. You can serve these bliny with cheese and verdure or herring. We’re not saying that eating these pancakes will make you a great writer, but it couldn’t hurt! Sofya made her pancakes with kefir to keep them thin. Kefir is often available in eco-supermarkets, but if you can’t find any, buttermilk is an acceptable substitute.